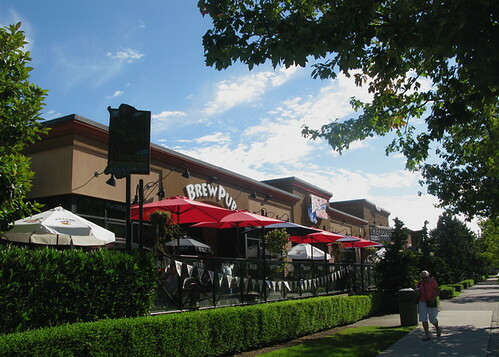 When I wrote the “So You Want To Open A Brew Pub” series of blog posts here as a guest blogger, I didn’t have any grand ambitions beyond giving back to the community and sharing some knowledge. The series has proven fairly popular. Today, someone who I apparently met while working for Building Opportunities with Business, put two and two together and sent me a couple follow up questions. I decided to share the answers with the rest of our readers. At the risk of sounding immodest, Vancouver Craft Beer Week is a big deal. I just did a search for “Vancouver Craft Beer Week” on Google and it came back with 20,600 results. Between Vimeo and YouTube, the VCBW ‘I am a Canadian Craft Brewer’ promotional video has been viewed almost 2,000 times since April 21. There are over 825 followers on twitter and almost 1,400 Facebook fans. Then there are the mentions in the media… (Look for extra coverage on The Peak 100.5 FM and in the WestEnder, especially the upcoming edition on May 6.) All this has really only come together in the past month! I would say that this rapid build-up of support is due to the fact that Vancouver Craft Beer Week is a simply an expression of the growing craft beer culture in British Columbia, as demonstrated by increasing craft beer sales. And for the first time, it brings brewers, the hospitality industry, and the public together in the largest, public demonstration of what we have in our own backyard. The heightened publicity does not just benefit businesses directly involved in VCBW. There is a multiplier effect that extends to others, as well. For example, I know that people are coming to Vancouver from Austin, Phoenix, and Los Angeles specifically to attend this event. Given that it overlaps with Seattle Beer Week, brews travellers will be motivated to “kill two birds with one stone” and come here to spend their money. 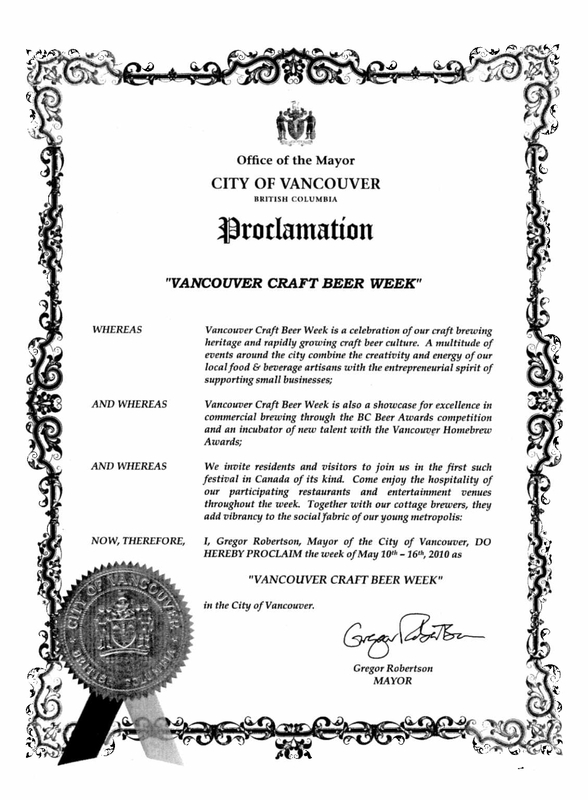 The Mayor’s Office recognized this value, which is why they have officially proclaimed May 10-16 as Vancouver Craft Beer Week. Seattle’s mayor has done the same.